There is no dearth of restaurants doing multi cuisine on the main Calangute stretch. 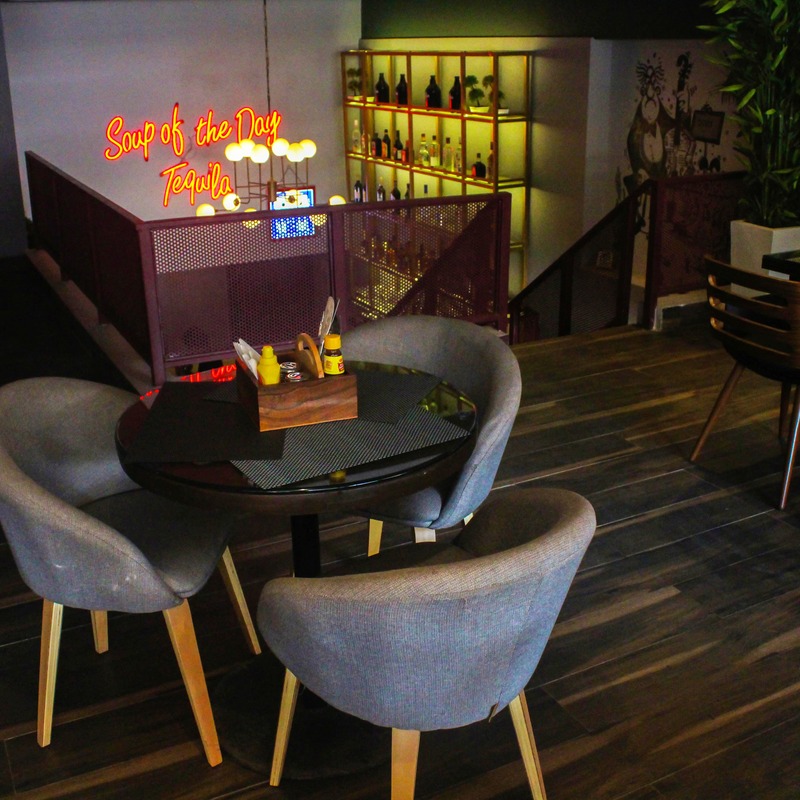 The Divo Cafe & Bar, however, is looking at switching up the game with their live music and DJ nights that will swing between Bollywood, Rock and Retro. The Divo Cafe & Bar is one of the few places in Calangute that is also air-conditioned, so that's an extra motivation through summer. Walk in and you'll notice that it has a chic vibe, with tables comfortably spaced out, and a bar in the corner that proudly displays a red neon sigh saying 'Soup Of The Day - Tequila'. The stairs from the side of the bar, lead to another level that's got a nice balcony. Their prawns tempura (INR 395) and cheesy nachos (INR 175) were delightful and came in large portions. They even have sizzlers, salads, burgers, pastas, pizzas, steaks, Mexican, other continental dishes and even Indian fare. And for those with a sweet tooth, their desserts section is exciting with Oreo Madness and local bebinca (INR 145). So if you are going out with your whole gang, and want to party, look no further. And if you are not interested in the loud music downstairs, then just move to the upper level and leave the dancing party behind. They have Diva Nights every Thursday where ladies get free drinks till 11pm, and happy hours every day from 7pm to 11pm. And if you enjoy sheesha, get it with the side order of live music (they'll host jams on Saturdays). A little birdie told us that they have an underground dance club opening pretty soon. So, all the music fans in house, gear up to hear different genres on different floors.